Blogging Marathon enters into its 15th edition and it sure turns out to be with a bang. I have always love the idea of making thalis. It’s more of the way our Indian food is presented in a plate. 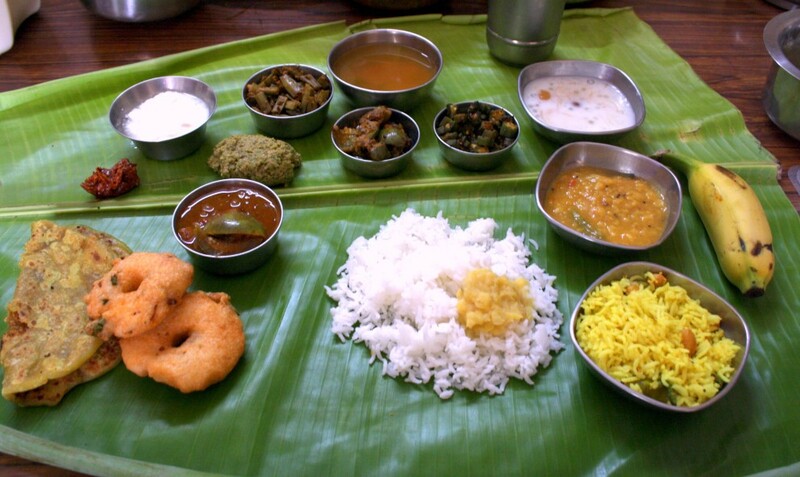 Each state has its own special thalis and it represents the culture and the food habits of the locals. When I began blogging, the first event that I knew was the Regional Cuisines of India. For this event, many of us specially cooked specialty dishes from the state that was on showcase. Though I couldn’t participate in the beginning, I enjoyed the many thalis that some of the bloggers put up. So finally when it was Rajasthan, I did a thali featuring the specialty from Rajesthan and everybody at home enjoyed the dishes. Then I did a Bengali simple thali. It was even more relished with aplomb. Since then I have always cooked up thalis, be it a breakfast, lunch or dinner. My traditional Breakfast thalis always reminded of what I want to make and feed my family. It’s very common in south for a breakfast thali to be served. So when I was talking to Vaishali, I was surprised when she said there is no such concept of thalis for breakfast. I got to know this again from my other North Indian colleagues. Well I am sure they make loads of dishes for breakfast, only they may not be showcasing it as such. I still remember so vividly the breakfast spread I was treated to, during our family friends wedding. Coming to the first post of the series, I wanted to share our Special Ugadi Festival spread. Ugadi has always been very special and very hectic day ever since I remember. 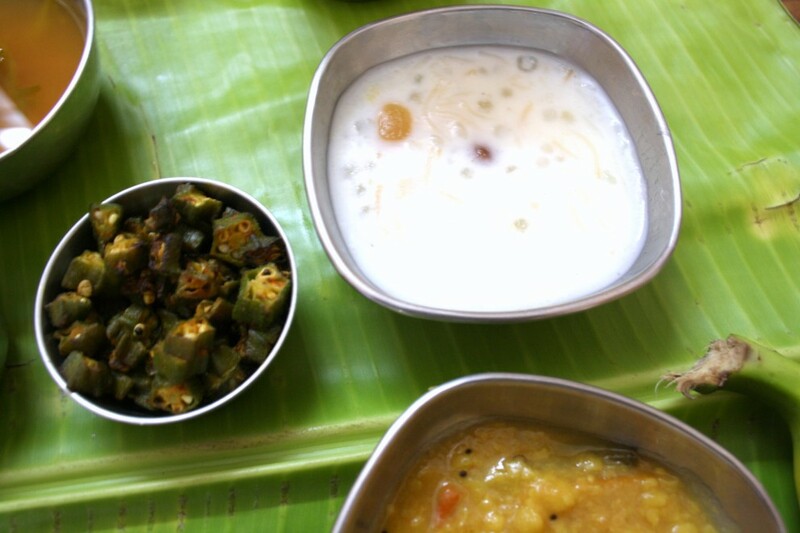 Though Athamma does make special dishes on this day, it’s not the same as how Amma makes. On this day according to our traditions, Amma makes dishes that her elders used to love and offer to them. It’s an occasion when we remember our forefathers and celebrate by making their favorite dishes. I am not sure how many follow this tradition, it has always been so in my parents place. On this day, Amma normally makes Sweet Poli. Back during childhood I remembered Ugadi to be the only day on which she makes it and she used to make huge quantity as she had to distribute to the neigbours. For the offering she normally makes Mudda Pappu, 7 varieties of vepudus (Dry sautes or fries) Semiya Payasam, Sakkara Pongali, Pachimirapakaya Pappu, Rasam and curds. Of course depending on various things, she might add some more. It used to be a day of never ending cooking. I have always helped Amma with her preparation and after my marriage I had kept my Ugadi spred to minimum and leave to help her. I end up serving a breakfast brunch, that’s I will be sharing soon. Coming to the dishes, though most of the dishes that are prepared are already posted, I was surprised that I still haven’t posted couple of them. First being the Mudda Pappu. Though this is a simple cooked Toor dal, the way it is pressure cooked and served, makes it all the different. Dry roast the dal till it turns a slight colour. Allow to rest and then wash with water. Pressure cook with water for couple of whistles. Dal served as mudda pappu is not cooked very soft, but it retains little bit of it’s shape. You can pressure cook without roasting as well. Sometimes we temper with a bit of ghee, mustard and urad dal. Though this is completely one’s choice. Normally mudda pappu is served as such with salt mixed and to steaming rice with ghee. We mostly eat it with rice along with Avakai/Mango pickle. This is the first dish that’s served and eaten in Andhra special lunch. As I said Amma makes about seven different dry sautes or vepudu on this day. Now don’t ask me if her grandparents loved all those vepudus she makes. It’s been a tradition that she has been following and the only difference has been in the decrease of the number. This time it’s come down to 3. It is always in odd number, again I am not sure why in our customs it’s always odd numbers to be followed. Anyway we decided to bendakaya vepudu, Goru Chikkudukaya Vepudu and Vankaya vepudu. Bendakaya Vepudu is almost the same as what I had posted previously. Except it’s kept to bare minimum in spice as it has to go with the rest of the crowd. Add Chille powder, turmeric pw and salt to taste. Mix well. Simmer it for 10 t0 15 mins. Once you see its nice and crispy, you can remove from flame. Fried Snack, Mixed Rice, Pachadi, Masala Kura, Vepudu. Pulusu, Annam, Pappu, Avakai, two types of Sweets (One offered at the beginning and the other at the end) Perugu, Majiga. It is always served on a Banana leaf. Since it was a festival thali, it was possible to make and capture so many dishes in one shot or else it might end up being a huge work. Of course if you have somebody to help it’s fine. I had to wait for everybody to have their food and finally did the setup. I had kept aside the largest of the Banana leaf for the photo. My aunt who was visiting us for the festival was very amused at the whole set up and was wondering why I was jumping and leaning at different angles to get the right angle for the picture. Amma was upset that I did’t eat until this photo shoot was over. Of course on my part I was so happy! Hope you liked our special Ugadi thali. What a spread! I am speechless. Really…I am! I love eating in banana leaf, one thing I miss terribly. Last yr a Chinese friend of H's presented us with plantain plant….I served Vishu(Tamil New Year day) feast on the plantain leaf and it was very well liked. Amazing platter Valli….looks fabulous. lovely spread! I guess each family has a unique tradition to follow for every festival. Wow, super thali andi.., It's looking sooo delicious, I am really hungry now, seeing the second thali of the day., I want to try your pachimirapakaya pappu, and few more of your recipes.., looking forward to them..
That is a nice spread of thali. Just curious, your ingredient list for okra fry does not have onion & garlic. Is it because of the festival or this recipe does not require onion & garlic? I know some of relatives don't use onion & garlic during certain festivals. I do not remember the special dishes made for Ugadi but sweet poli / boorelu / bakshalu are a must. I do remember my mom making mango pulihora since it is the beginning of mango season. This is like a super rich spread valli.. almost like a kalyanam saapada :).. i really like the idea of cooking all fav dishes of our elders.. if they continue to do so..i don't mind growing old :).. I really miss eating ellai saapad..
Rajani I am glad that something has actually made you speechless for a moment! LOL..thanks! Harini, thanks, yes I agree..that's what makes sharing these more interesting. Pradnya, I guess we should have more of this thali theme so that you take it up right..:)..Do convey my thanks to your hubby..
Wow Muddapappu Aavakai with bendakaya vepudu what a combination, fantastic thali feeling hungry!!! Awesome spread Valli!!! Love our Festivals, just for the Spread we have and when i say my friends here, the menu i make for the Tamil New Year, I see their eyes popping out thru my phone!!!! I too remember RCI and eagerly sent my entries for this event.Ugadhi thali looks delicious.We too serve mashed toor dal with salt and ghee on festive occasions. So many similarities in our thali's na…. wow..this truly looks fab! 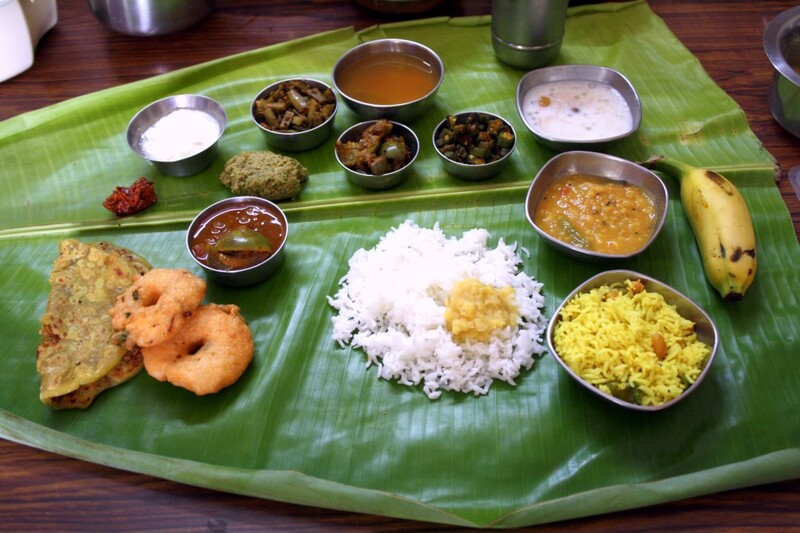 !…I love eating on a banana leaf..which is so very difficult to get here.Its a very informative post for me..I really dont know anything abt the South Culture…n how I was dying to dee this Thali at midnight when you posted!1..but no net connections:((.. There is nothing to match a sit down vazhyila sappadu. Looks wonderful, Valli. Wow!!! thali looks fabulous. Love all items in the thali. Looks yum. Love to have in banana leaf. Wow Valli. My mouth is watering.